KOZHIKODE: The Kozhikode corporation has invited expression of interest (EOI) from bidders to run the closed down plastic recycling plant. This is also to carry out removal of all types of non-degradable waste collected by the civic body from various wards, which is lying at the plant. The West Hill Recycling plant, which was set up at a cost of Rs 62 lakh in 2013, had to be shut in October 2015 after the contractor expressed difficulty to run the plant due to the frequent attacks by anti-social elements. As per the new plan, the civic body has decided to entrust an experienced agency or individual having five years experience in running a recycle plant. The agency must be capable of disposing all types of non-degradable wastes such as plastic, electronics items, unused bags and footwear, old and wornout kitchen appliances. According to the corporation authorities, the unused plant at West Hill has the capacity to recycle one tonne plastic waste on daily basis. The plant converts plastic waste into granules and pellets to manufacture pipes and a sum of Rs 12 lakh was spent to set up machinery at the plant. 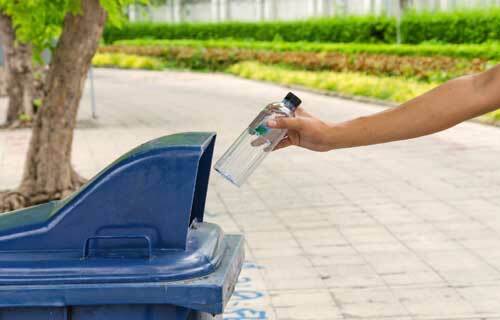 Corporation health standing committee chairman K V Baburaj said the civic body decided to entrust an agency capable of disposing all types of non-degradable wastes as the contractor entrusted with the removal of rejects failed to remove all the wastes. “Last date for the submission of EoI is August 18. The civic body wanted to resume the operation of closed recycling plant at the earliest,” he said.